Moskowitz & Moskowitz, LLC is a Cincinnati based law firm dedicated to providing our client’s the highest quality legal representation with a personal touch. The firm serves clients in a broad range of family law issues including divorce, child custody, premarital agreements and post-decree matters. Based in downtown Cincinnati, the firm serves clients in Hamilton, Clermont, Warren and Butler counties. Joel Moskowitz has represented men and women in family law matters for 47 years. James H. Moskowitz is an Ohio State Bar Association certified specialist in family law and has represented men and women in family law matters for over 16 years. The attorneys at Moskowitz & Moskowitz, LLC concentrate their practice on family law issues and are committed to achieving the best possible outcomes for our clients. We have extensive experience with complex financial matters including self-employed income issues, business valuations and tax issues. While resolution outside of court is preferable, our lawyers have extensive litigation experience. 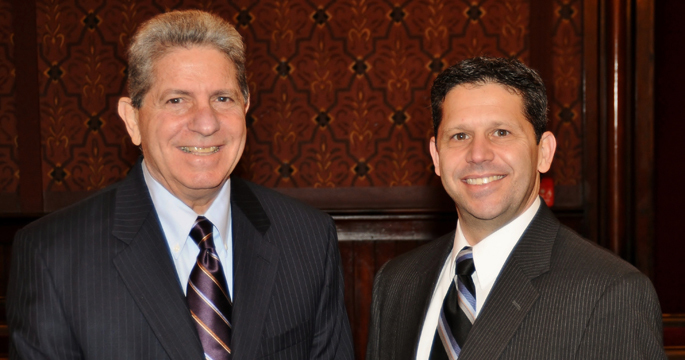 The attorneys at Moskowitz & Moskowitz, LLC are trained members of the Cincinnati Academy of Collaborative Professionals as well as the International Academy of Collaborative Professionals. Joel Moskowitz is trained as a mediator as well.